As you know by now, getting washboard abs has more to do with what you eat than the number of crunches you do in a day. So choosing the right diet is key to getting that enviable six-pack. 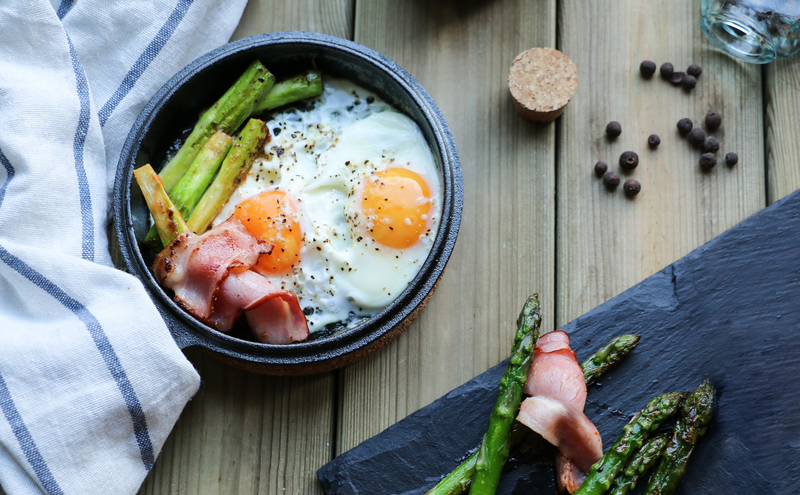 Enter the ketogenic (or keto) diet, which is the latest to take over the fit sphere and is one of the most talked about diets for health and fitness enthusiasts. It’s a regime that doesn’t require you to season your cold bowl of salad with tears, nor chug a nasty glass of mystery juice. Instead, you’ll get to have that steak and then even some cake. The keto diet is named after its ability to allow the body to produce fuel molecules called “ketones”. This diet comes at an opportune time, especially since a growing body of research has managed to not only prove that fat is highly essential for the body to thrive, but that carbohydrates are silent killers to be blamed for just about every modern ailment. Besides weight loss, the ketogenic diet has also been credited for improving moods (no more sugar highs and crashes!) and mental clarity over the long run. As the woman behind Seriously Keto, Singapore’s first wholly ketogenic bakery, Janti Joso Brasali has figured out how to make the diet painless and dare we say, enjoyable. Her bakes — made from scratch with natural ingredients — all contain no sugar and little carbohydrates, and can range from breads and cupcakes to even spreads and cookies, changing the game for those with serious sugar cravings. Along with tips from the alternative baker, here’s all you need to know about the keto diet before you dive right in. Ketones (small fuel molecules produced by your body) are an alternative source of fuel for your body when glucose (blood sugar) is in short supply, usually achieved by eating little to no carbs and moderate amounts of protein. The general rule of thumb is to keep carb intake under 30 grams in total per day, which will force your body into the state of ketosis, a metabolic state where fat is burnt 24/7 when insulin levels are low. Here, your body will be able to tap into greater energy reserves for more efficient weight loss. Protein is also integral in this diet, and you’ll want to aim for about 0.8 times your lean mass (sans body fat weight) every day; excess protein will be converted into blood sugar in the body. Finally, around 75 percent of your energy should come from fat. Relax, you won’t have to clear out your pantry, save for all the carb-filled junk. Your checklist should include organic meat and line-caught fish, as well as eggs, plenty of olive oil and avocados, as well as non-starchy vegetables such as spinach and broccoli. Almond flour is also a great substitute for putting a keto-approved spin on your favourite desserts, an ingredient Janti has mastered using in place of regular wheat when baking. Other neat hacks she’s discovered include using Erythritol, a natural occurring sugar in our bodies, as an organic replacement for sugar in frostings, as well as adding psyllium husk, which may help control blood sugar levels. “The most common misconception is that a high-fat diet isn’t good for the body. We should always opt for good fat like avocado and its oil, coconut oil and coconut milk, as well as Ghee,” Janti explained. If you haven’t already gotten the hint: It’s carbs. This includes everything that once brought joy to your life, such as bread, rice, potatoes and pastas. Sugary foods such as candy, juices, sodas and cocktails are also non-negotiable, while fruit should be kept to a minimum. This doesn’t mean you can’t enjoy a night out. Dry wines and champagne usually fit well within a keto diet in moderation, while pure spirits such as vodka, tequila, and whisky are also approved for containing zero carbs. On the contrary, sugar-sweetened drinks such as a gin and tonic are a no-go, as is any type of beer. “There is a term “dirty keto”, where you eat burgers, bacon and the likes. But that’s okay, as long as it’s not your daily menu. Being more flexible with yourself will allow you to continue this lifestyle longer with the frustration. Having said that, it also depends on what your personal goals are; if you want to solely lose weight, then you need to be stricter with yourself, but if it’s to improve your overall health over the long run, then giving yourself allowance is key,” said Janti. As with all diets that involve cutting out carbohydrates, the ketogenic diet can cause withdrawal symptoms as your body adapts to this new regime, similar to those experienced when weaning off caffeine. Distressing symptoms may include fatigue, headaches, and massive sugar cravings that spiral you into the dark pits of extreme irritability, but they should wane after a week or two when your body eventually adapts. Instead of surrendering to your mid-day doughnut urges, keep hydrated with plenty of water and electrolytes.